When buyers are looking at a home, one of the most important elements that they often look at is how many bedrooms and bathrooms the property has. 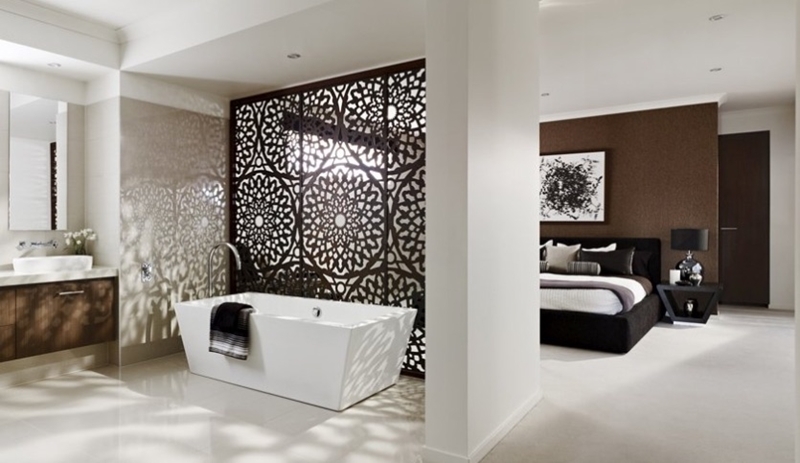 In fact, a family bathroom and a master bathroom were considered necessitates in a survey published by the Real Estate Buyers Agents Association of Australia. As master ensuites are so important to modern homes, it’s critical to get the planning and design of this element completely right. At Bubbles Bathrooms, we have more than 15 years of experience with ensuites, ensuring that the final look is both practical and stylish. Here’s what you need to know about planning and designing an ensuite. One of the common elements of master bedrooms and ensuites is that space is at a premium. While every environment is different, the two areas must complement each other while also providing the basic needs of both a bathroom and bedroom. A good way of achieving this is by selecting similar materials and colours. This essentially unifies and integrates both spaces – creating visual flow that appeals to the eye. The Bubbles Bathrooms design team can help you to define these connections and build a cohesive design scope. For all the benefits of ensuites, they can be quite a loud environment – showers, toilets and extraction fans, for example. However, these disturbances can be mitigated if the design of the ensuite is right in the first place. To reduce noise from the ensuite, you could install an ultra quiet cistern, direct odour extraction from the toilet pan or even consider soundproofing the walls. In the case of an open plan bathroom bedroom, it might be a good idea to have features that stand between the two spaces, blocking any noise. Lighting emitting from an ensuite can also cause sleep problems. The key in this situation is to design subtle courtesy and task lighting solutions that allow one party to sleep peacefully in bed while the other completes tasks in the bathroom. If you want an ensuite that flows, connects and complements the bedroom, the design team at Bubbles Bathrooms can bring this to life. Regardless of your individual style and vision, we can work with you to build a plan that is cost-effective and functional. To learn more about how we can help, reach out today.